I really love this set. Its one of those styles you would want to wear for humid weather Singapore. 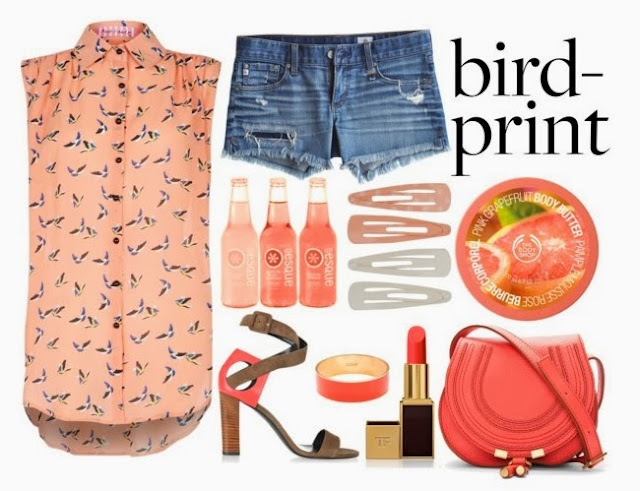 I got this from polyvore. There are lots of great sets from the site. In fact these items are sold there so you might want to check them out. I'm a thrifty girl so bargains and sales are my alternatives. There are lots of joey cut shorts sold everywhere but you can also DIY (do it yourself) one. There are actually lots of choices at Zalora. But I specially love this one from Ezra. This Ted Baker bag is very chic. The idea is not to specifically copy every detail of this look but make it a base set to recreate different style sets. In fact it would be fun to wear a variety of different colored sets for this look.